Born and raised in the Bluegrass, Zach Madden fell in love with Thoroughbreds from an early age on his grandparents’, Tom and Norma Collins’, On The Rocks Farm in Lexington, Kentucky. Enamored with the racing and breeding industry, Zach pursued a Bachelor of Business Management degree with a minor in Economics from the University of Kentucky and, throughout his academic career, he paired his classroom studies with hands-on work at the famed Three Chimneys Farm. Building his resume from the ground up, Madden worked with mares and foals, as well as with yearlings being pointed to the sales. Madden’s work ethic and easy demeanor made those around him take note and, upon graduation, he was brought on full-time to work in the bloodstock and sales office. In that environment, Madden thrived. Liked and respected by clients and competitors alike, Madden was eventually promoted to Director of Client Development. After 10 years at Three Chimneys Farm, Madden left to join Ro Parra and his team at Millennium Farms. 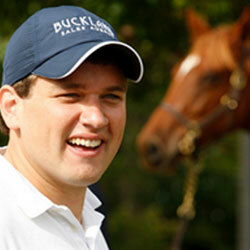 Originally hired to focus on client relations and the re-invigoration of the Millennium consignment efforts, Madden found his niche quickly, working with both established and new clients to help them manage their bloodstock portfolios and maximize their investments in the Thoroughbred business. After many discussions with Madden about his philosophies and watching him work on behalf of the farm and its customers, Millennium owner Ro Parra and Business Manager J. Ted Neel approached Madden about a new opportunity, one that would not only reinvigorate Millennium Farms’ auction footprint, but also service third-party clients in search of a sales company that puts a fresh, customer-centric spin on the consignment process. 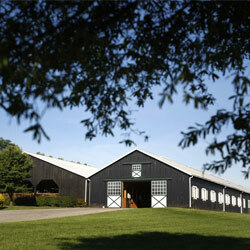 Thus, with the support and partnership of Millennium Farms, Buckland Sales was born. In addition to outside clients, Madden will work closely with Neel, who will manage Millennium Farm’s equity position in Buckland Sales. Ro Parra's Millennium Farms operation encompasses 530 acres of gently rolling bluegrass in the heart of Central Kentucky. Situated along historic Paris Pike, the commercial breeding operation stands stallions and is home to broodmares, yearlings and foals. The farm offers seasonal and year-round boarding of mares, sales prep and lay-ups, including re-freshening and post-op care. The partnership with Buckland Sales allows customers to receive a full suite of sales, bloodstock and portfolio management services. Having the Buckland Sales office situated on Millennium Farms' grounds allows Zach Madden and our staff to work closely together and with customers to ensure horses receive individualized sales prep plans, sales placement and book consideration, all of which combine to maximize each horse's potential in the public or private market. The joining of forces between Millennium Farms and Zach Madden has created a new breed of customer service in the Thoroughbred sales market. Buckland Sales is a vibrant new player on the public auction scene. This hybrid approach to prepping/selling horses and managing bloodstock allows Madden and his team to offer customers the breadth and depth of talent and services normally associated with the largest farms, while maintaining the dynamic nature of an independent sales agency.